India’s ‘public sector indigenous Bt cotton’ a scientific fraud! 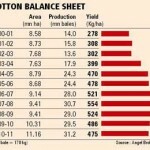 Hyped Desi Cotton has Monsanto gene! “Got a Plant, will republish for a fee”: on Paid News….